“Flexibility is absolutely the key!” declares Karen Freudenberger, as she looks below where farmers Chuda Mahoro and Theogene Dhaurali are struggling to free one of the farm’s trucks stuck in the mud in a waterlogged pasture. Karen is the Pine Island Community Farm Project Manager, guiding it into existence as a working farm from a conceptual idea formed a few years ago. 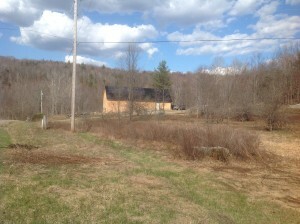 The majority of the pasture land on this farm is located in the floodplain of the Winooski River, in an oxbow and surrounded on three sides by the river. While extremely fertile, with abundant forage for the 200 or more goats that graze here, the chances of flooded conditions are often present. While springtime has always been a time of expected flooding, in recent years it has become painfully apparent that flooding can and will happen just about any time of year. But the grazing season of 2015 has shown the opposite can also be true. While June of this year broke records for number of inches of precipitation and cloudy days, August has been the driest on record for Vermont. So what does flexibility look like? For the crew at Pine Island, it means the crops and gardens are not necessarily on the best agricultural soil. 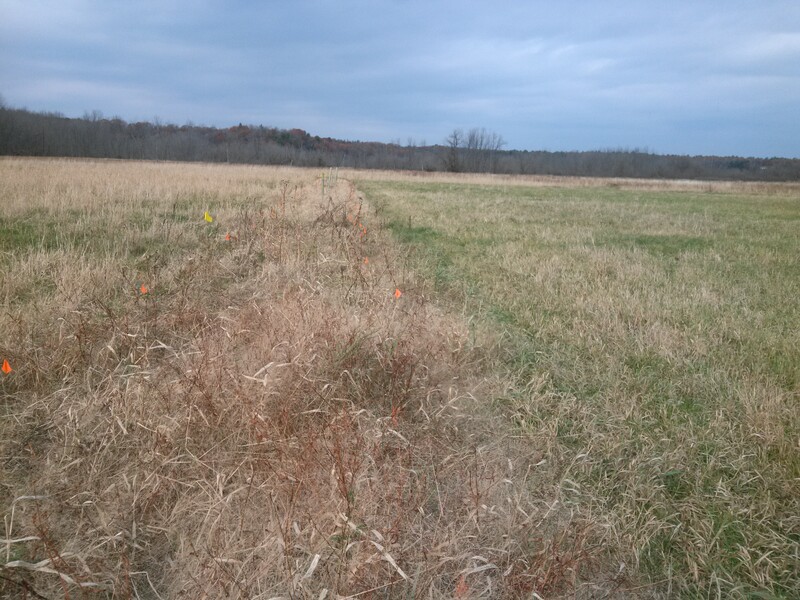 Flexibility means a grazing plan that includes a “reserve” or “contingency” pasture on the higher ground at the farm that can be utilized at any time to accommodate animals for grazing, should the weather dictate the need to do so. 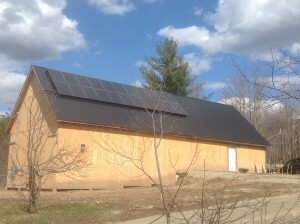 Pine Island Community Farm represents a partnership between the Vermont Land Trust and the Association of Africans Living in Vermont. It supports New American farmers who wish to raise goats, chickens, or garden crops at the farm and sells pasture grown animals to families who wish to slaughter their own goats and chickens for meat. 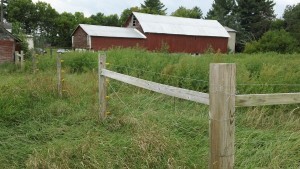 It is a collaborative farm where each individual farm enterprise (e.g. Chuda’s goats) is run by the owner as his own small business. Together, the business operations share the land, the barns, and the equipment. Now in its second year of operation, and finding a rhythm with the land, livestock, and crops – the wild card remains the unpredictable weather fluctuations and learning how to work with that reality. The community gardens were placed on the upper plateau, even though the better agricultural soils are on the river plain below. But the risk of flooding and crop loss is too great on the lower level, and the financial impact could be devastating, so the decision was made to place them up above, requiring substantial amounts of soil amendments to increase the land’s fertility. Now in its second year of operation, and finding a rhythm with the land, livestock, and crops – the wild card remains the unpredictable weather fluctuations and learning how to work with that reality. The goat enterprise is even more complicated. Since most of them arrive in late winter/early spring as very young animals, it is particularly important that their pasture not be wet or even very damp as those are the conditions most favorable for the internal parasites that can take a young animal down very quickly. Planning for this means reserving a section of the upper plateau for the initial forays onto pasture at the beginning of the grazing season. The chances of this higher elevation land being drier are much better, and lowers the probability the young animals will pick up parasites. Once the goats have grown in size, become good grazers, learned the process of following a shepherd, and the pasture below has dried up enough – they are taken down each day to fresh forage on the river plain. However, if there is a heavy rain event, the animals are often returned to the barn, and put on hay. Moving animals prevents parasite intake and is seen as practice for general goat health. Goats traditionally come from dry environments, and have prominent back bones, so when conditions are extremely wet, they can sometimes get a deep chill, particularly young animals. So they are returned to the barn for cover until the weather eases up enough for them to be outside again. The frequency of this procedure has increased in direct correlation with the heavy precipitation events – again an increase in cost due to the extra time and labor involved. This June and July have proven to be exceptionally wet, and circumstances have pushed the farmers to start utilizing any areas they can find with reasonably dry pasture. Chuda explains how it affects his day and makes for inefficient labor. 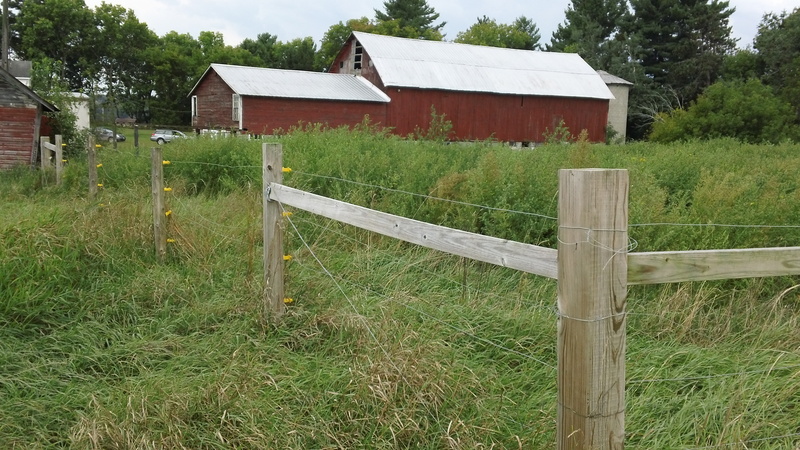 “We must spend a long time scouting around for any new dry area, mowing a strip to accommodate fence set-up, putting the fence in place, and bringing the animals there. Normally, long strips would be mowed where several days or even a couple of weeks’ worth of fence line can be set up and a new paddock made each day using the section from the previous day’s paddock as the animals are rotated onto new forage each day”. The labor invested is much less when the paddocks can be made in consecutive blocks, or even close by instead of wandering all over the river plain. This season has pushed everything to the limits. Because of the record breaking rain and wet conditions, pastures have been slow to dry up and many still have standing water in places, prohibiting their use. 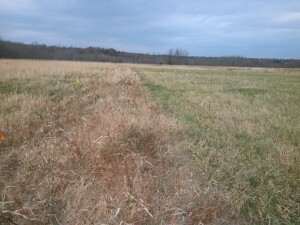 Livestock have been restricted to sacrificial paddocks or barnyards and fed any reserved hay from the previous season. But for many, even the reserve stash is gone. For the same reasons, haying has been delayed and many farmers have not been able harvest any, so without any new crop, and reserve supplies depleted, the only choice is to import feed from far away – a costly solution – or eek out any small opportunities close by. This means resorting to a “hunt and pick” type of operation, seeking any bit of dry pasture land that can be found to set up a grazing paddock. The inefficiency brings a greater cost to all – time spent looking and setting each area up takes a good portion of the day, and a watchful eye kept on it all should there be a need to quickly get the animals back to high ground. Karen says, “This year has really pushed us to understanding the need for back-up reserves, and getting better at planning for that”. In our first interview of this series, Moving to Higher Ground, we talked to Amanda Andrews, owner of Tamarack Hollow Farm about her decision to move to higher ground. In this blog, we check in with Yves Gonnet, owner of Midnight Goat Farm, who also recently moved to higher ground; he relocated his dairy goat farm from the Huntington valley to the Huntingdon hills in Vermont. Here are some snippets from recent conversations. Well Suzy, it’s May 4, 2015 we’re expecting the temps to hit 78 with 12mph winds gusting up to 21mph mid day. As a lay person who farms goats, bushes and bacteria, I have noticed some things in the past decade. I think the operative words are extreme and unpredictable. Colder longer, hotter faster and much much wetter (at times). July 10, 2015. I wish we could have 3 straight days of sun. It is getting old watching hay go to seed or get pounded into the ground by rain. July 20, 2015. Headline weather: “Hail, Thunderstorms and Flooding Hammer New England.” Hail the size of tennis balls fell in New Hampshire. The day will likely end up as one of the top five hottest for this summer in New England. The heat index is close to 100 in southern New England. In Northwest Vermont, we’re spared the hailstones, but we’re sweltering with hot temperatures, then hit with heavy rains. Hand milking goats is quite the workout. August 11, 2015 Heavy rain in most parts of Vermont. We’ve had 50% more rainfall since June 1, when compared to National Weather Service’s recorded normal climate as measured from 1981 to 2010. Yves Gonnet herding his dairy goats at his farm, Midnight Goat. Center for Sustainable Agriculture, CSA: So how does a dairy goat farmer manage weather in Vermont? 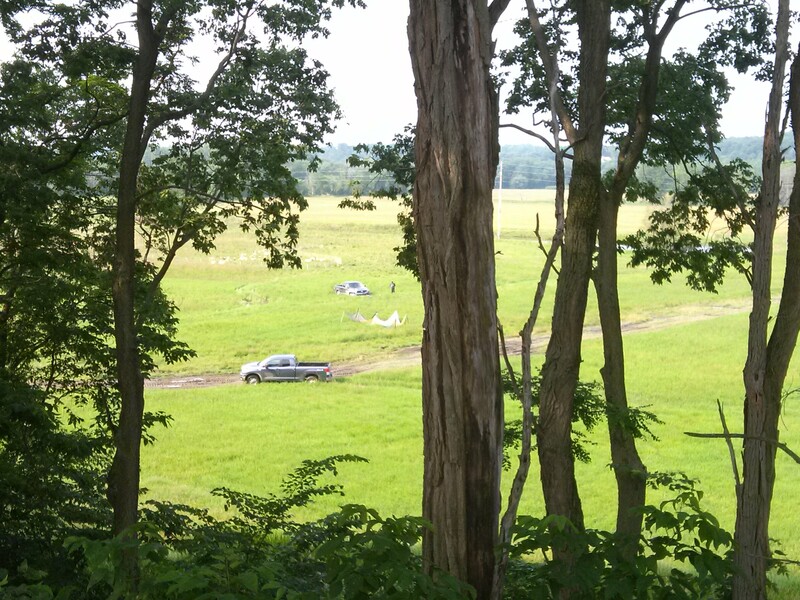 Can you describe your decision-making to move your farm to higher ground? What role did climate change play? Yves: We moved our farm operation to higher ground to help avoid the issues we had with flooding, increased water levels and encroaching wetlands. We settled recently in a spot three miles from where we had been, but 500 feet higher in elevation. A nearby water source was important to us so we selected a property, which is bounded by the Baker Brook, a year round protected waterway. Over the past seven years, we have seen the weather extremes become more intense and have sought greater elevation and easily drainable landscape to help us buffer these extremes. Where we had been located we were more and more frequently finding ourselves trapped by the Cobb Brook unable to get our goats to pasture. Over the past seven years, we have seen the weather extremes become more intense and have sought greater elevation and easily drainable landscape to help us buffer these extremes. Yves: I don’t think we are in a position anymore to expect weather. It is more a matter of reacting to what it is. So far we have been able to cope with this year’s extremes fairly well, but are always learning how to improve our systems for new surprises. Yves: We started looking for our new spot a couple years ago. Our criteria was pretty specific so it took some time to find. We started building fall 2014. We moved our farm operation to higher ground- 500 feet higher in elevation. – to help avoid the issues we had with flooding, increased water levels and encroaching wetlands. 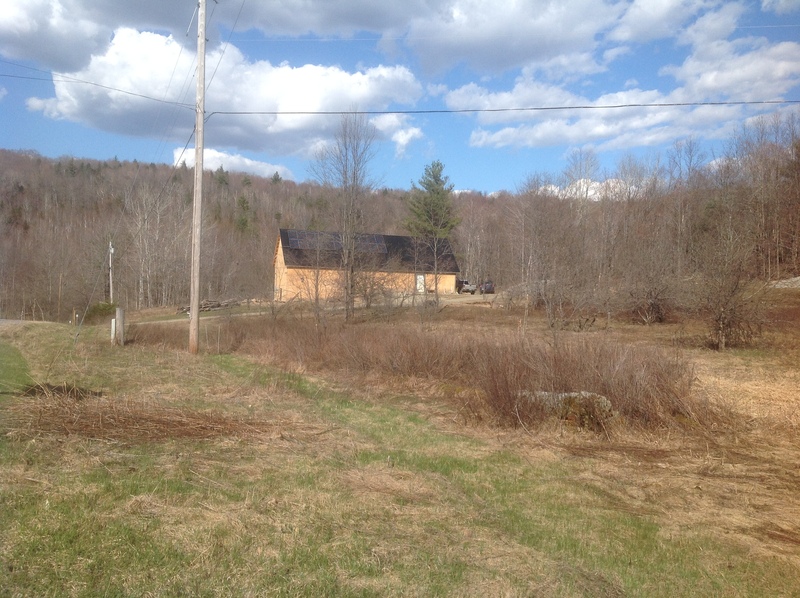 Yves: We looked for southern exposure, goat forage, fruit trees, maple forest, running water and sufficient acreage. CSA: Moving forward, are you planning for weather changes due to climate change? Yves: Absolutely. We have made ourselves much more autonomous. We provide our own solar power, have over sized waste water systems and water supplies and plan to continue to build systems, which make us less vulnerable to weather changes. CSA: Are climate change effects affecting your goats and kidding? If so, how? And how are you dealing with this? Yves: The extreme cold of this March made kidding more difficult and dangerous for the newborns. Fortunately, we were prepared, from prior January kiddings, for cold and quick changing weather. We have divided the kidding areas into well protected spaces, which allow for spot heating and complete enclosure when necessary. We employ heated kidding boxes for newborns and have internet accessible cameras installed to monitor expectant does and their offspring. We employ heated kidding boxes for newborns and have internet accessible cameras installed to monitor expectant does and their offspring. CSA: Is there any advice you would like to give to other farmers about climate change and its effects? Yves: Be prepared for unpredictable weather and shortages of feed. Don’t take water for granted.